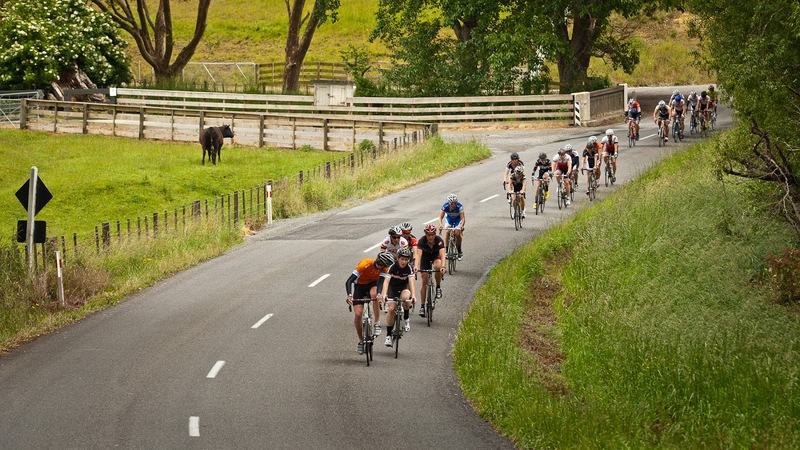 One hundred and forty kilometres of hilly riding 48 hours after illness was always going to be optimistic. Anyway, I figured it was a good way to chalk up some training even if hanging in there at the pointy end of the race was better saved for another day. Plus, the longer course for this year's Rice Mountain Classic looked way more appealing than the shorter option. In hindsight, maybe brutal is a better description than appealing. Dave Rowlands was the mastermind behind the modified course for this year. That explains a lot. Despite some very Wellingtonian weather the morning of the race, the rest of the day turned out pretty awesome. So well in fact that I topped up my cycling tanlines, only to be disappointed by a mild infringement of the Euro Cyclist Code of Conduct* caused by having a rogue gel stuffed up my shorts. Phew, for being in the Antipodes where there is hopefully some leniency. Phew (again), for being of Pommie heritage hence all tanning capacity is soon forgotten by skin within 24 hours. The gel line is fading as I type. Back to the race report... There were hills. Lots of them. There were kilometres. Lots of them too. The new course was awesome. As long as you liked hills and kilometres. 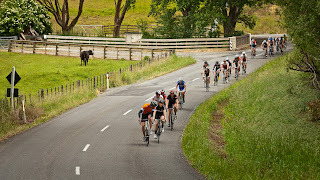 Lots of people were broken, including some who thought they liked hills and kilometres at the start of the day. The large icecream in Featherston on the way home made it all feel better again. With some seriousness, this is the third Rice Mountain Classic I have ridden. 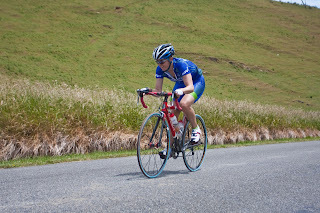 After moving to New Zealand three years ago, I made a commitment to myself to try to give this bike racing thing a decent go. 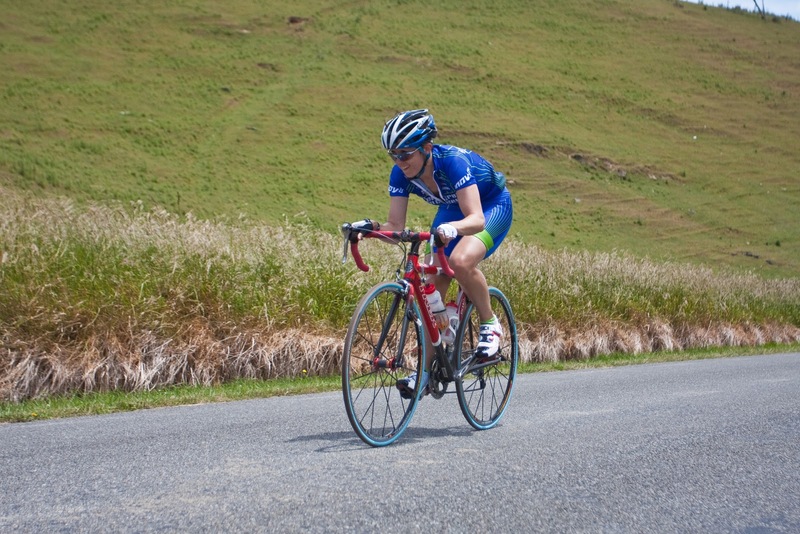 I raced heaps as a junior then a variety of things like medical school and military deployments got in the way. I always rode my bike but only raced intermittently and training was sporadic to say the least. The moral of this slightly roundabout story is that consistent training works. I spent the first year of the last two riding my bike more and the last one following a structured training programme. This weekend I rode better on a bad day than I would have on a good day in 2010. *Rule 11: A prominent line where your kit ends and where your tan begins is essential to your image. 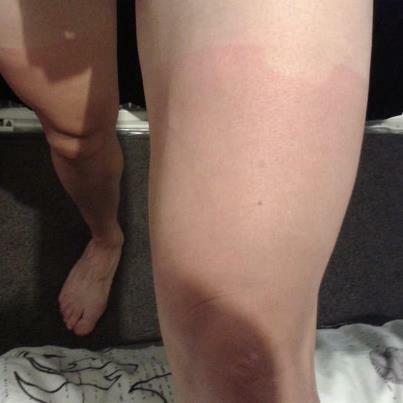 Artificial tanning is banned, the tan shall reflect the level of training commitment. *I'd like to also point out that having a carbon wheelset rocks too so you could always ask Santa while you're at it.